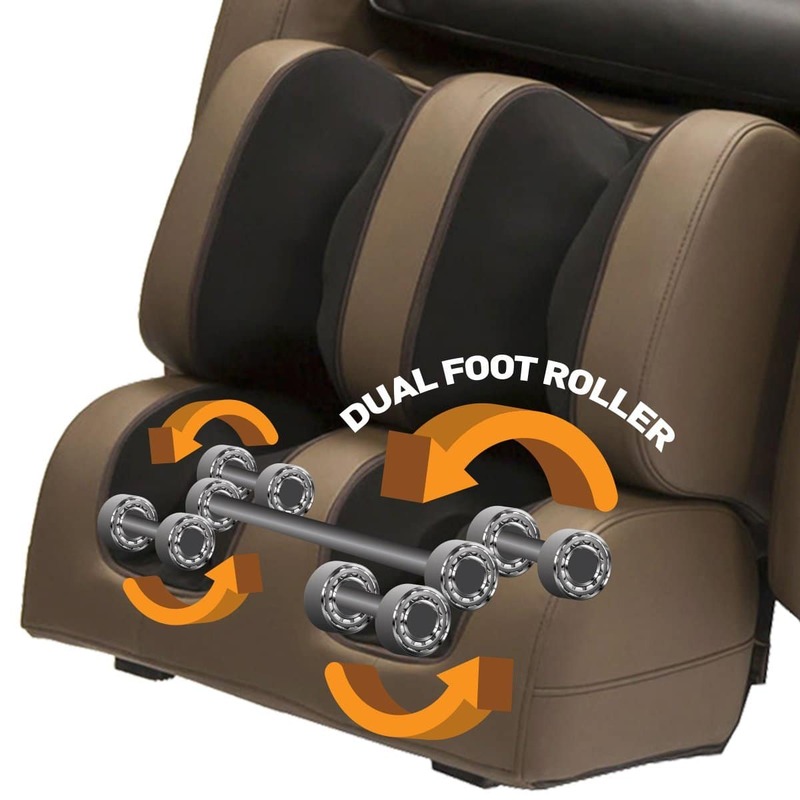 The all-in-one full body massager, right in your home! Does your work day stress you out and drain your energy? Does the daily grind leave you with little or no time to relax and unwind when you get home? Do you wish you had a personal masseuse who could just take it all away? Look no further, the Kahuna LM6800 is here to serve! Whether you’re in need of a full body stretch or pressure relief for a more targeted area, the Kahuna LM6800 is your go to personal masseuse. 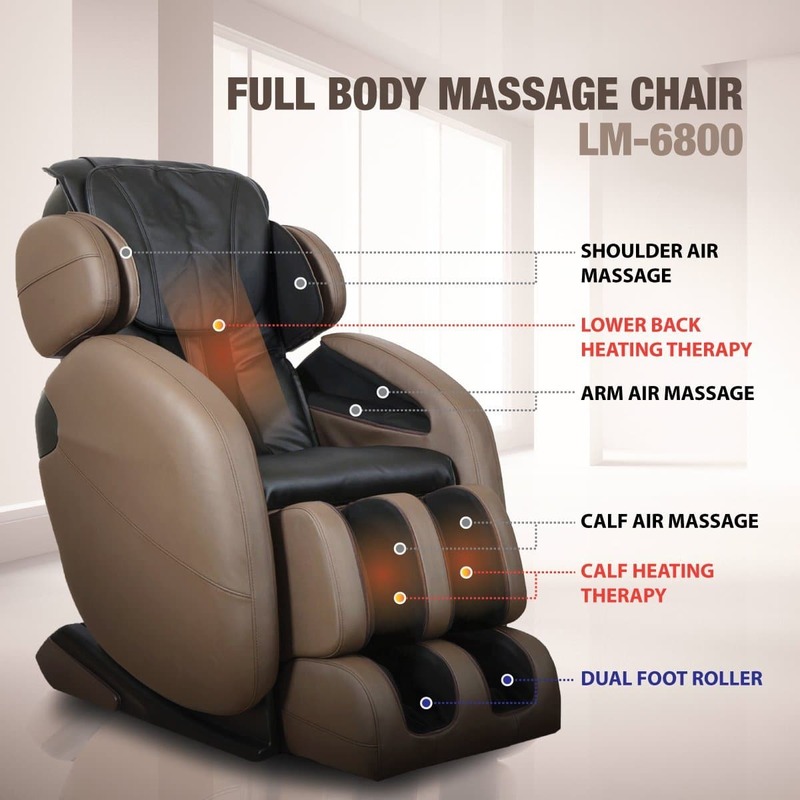 With both auto and manual massage programs for a range of massage therapy (including heating), its space-saving, zero gravity technology makes it ergonomically designed to ensure the best possible custom position for a massage to provide your body and mind with the relief it seeks, right in the heart of your home. If you decide that this chair is not for you, there are lots of other choices out there. You can try the Osaki OS-4000, RelaxOnChair MK-IV, BestMassage EC-06C, Real Relax, Medical Breakthrough 4, Human Touch iJoy-2580 or Human Touch WholeBody 5.1. 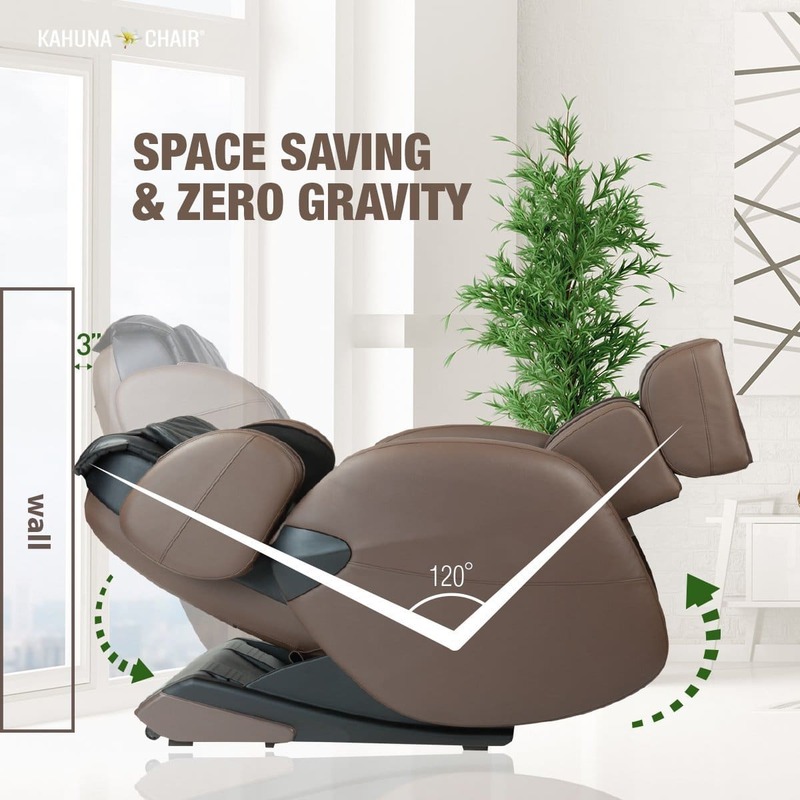 The Kahuna LM6800 is a space-saving, zero-gravity, full-body massage chair that offers yoga and heating therapy. 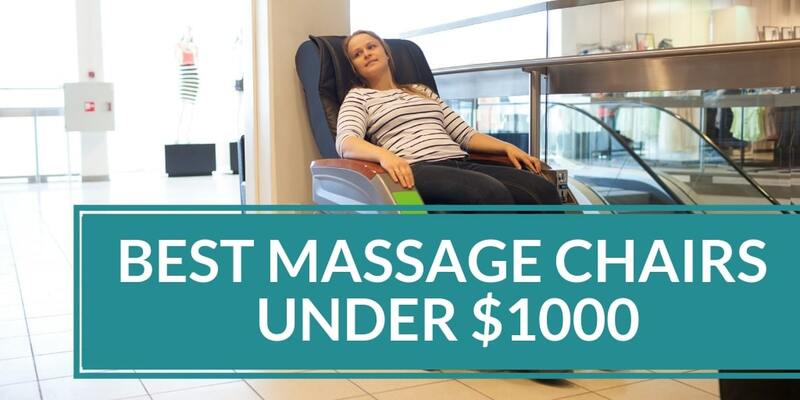 It is a popular choice amongst customers for its value for money and next gen technology that allows for more effective massages. This advanced technology consists of a highly unique design, where the system covers a majority of the surface area with the least amount of air cells possible. The air cells are specially programmed to inflate separately, causing the body to twist and deep stretch. The result is a quality massage that leaves the user feeling refreshed and replenished. Computer body scan technology scans your body to detect your body size for an individual custom fit massage. L-track system supports your entire body for a more targeted and effective massage. 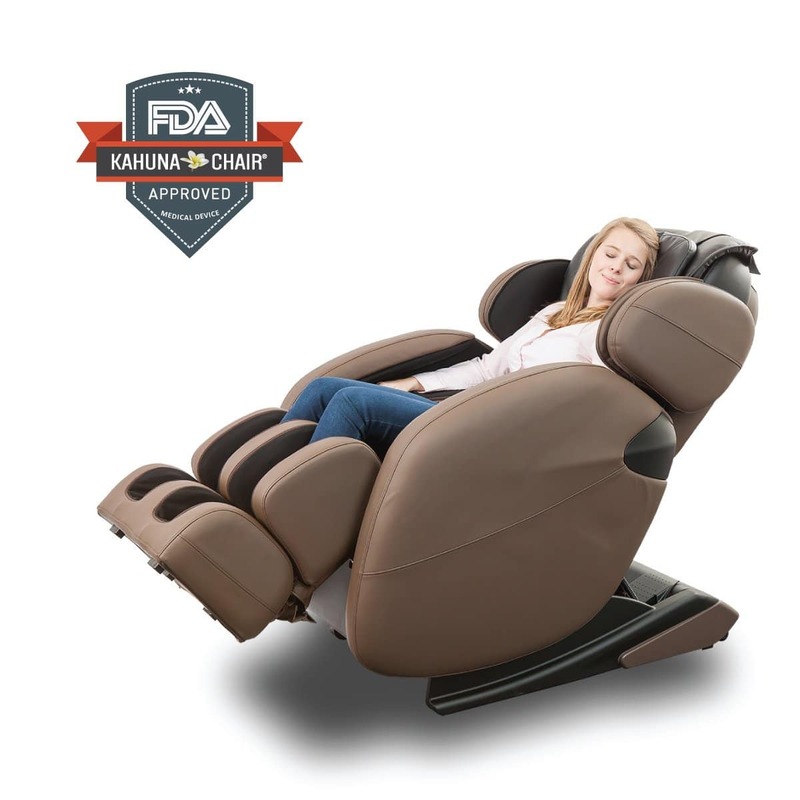 Kahuna LM6800 is designed to be the perfect fit for your body and your home! It utilizes cutting-edge, next gen technology to truly uplift and revitalize your body and your mind. 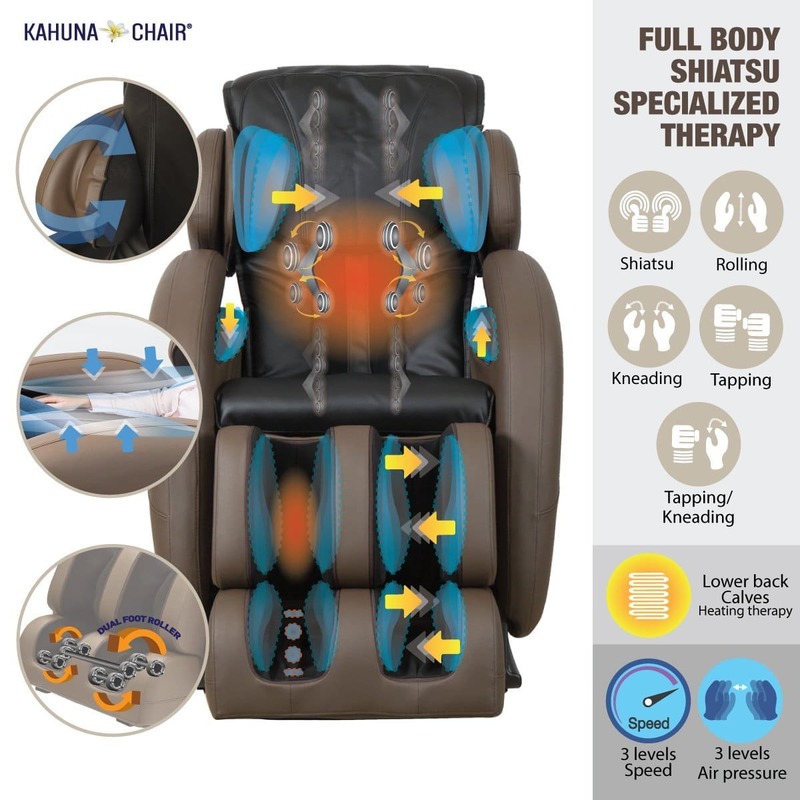 Personalize your Kahuna LM6800 through both the automatic and manual programs and ensure that every inch of your body feels supported and well taken care of. Let the effects of zero-gravity reclining, L-track and heat therapy take over to leave you ready to start your day or feeling relaxed before you hit the hay.